MISSOULA — Montana running back Marcus Knight was anxious as a kid to start football. But he wasn't allowed to play until fourth grade, so he went a different route. 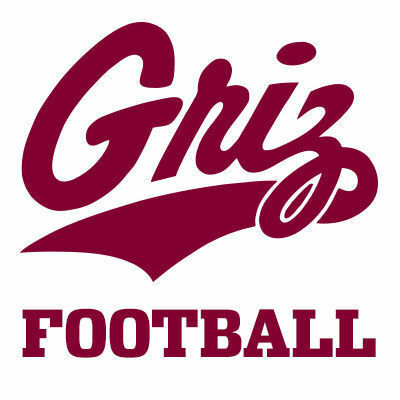 “I started lacrosse in third grade because I wanted to play a physical helmet sport,” Knight said after the Grizzlies’ practice on Saturday, which capped the first week of spring drills for him and fellow transfer running back Ryan Arntson, who came from Carroll College. Knight continued playing lacrosse and football, even as his family moved from Washington to California during his high school years. He got scholarship offers from college lacrosse teams, including from the Utah Utes, but he preferred football and hoped to possibly play both in college. Knight decided to prove himself in junior college instead of taking one of five Division II football offers, a Division I offer from San Diego, of the non-scholarship Pioneer League, or two walk-on opportunities from Oregon State and UNLV. He rushed for 912 yards and eight touchdowns for Citrus College in the fall before accepting an offer from Montana, which has two returning running backs and just one who had meaningful carries in 2018. Knight joined the team in January and participated in winter conditioning, getting up at 4:30 a.m., something he had never done. On the field, he’s adjusting to finding the right lane to show off his speed, explosiveness and stamina, which has been aided by the conditioning of playing midfield in lacrosse. In high school and junior college, he said there was always a designated hole to run through for each play. Knight broke off a long touchdown run in the first spring practice on Monday but fumbled twice on Wednesday, the first day of full pads. He had fumbled only four times in 130 junior college carries, getting extra reps in learning to take hits and hold onto the ball from body checks and stick hits in lacrosse. So far, the sophomore who carries a 4.0 grade-point average and is also working on improving his pass blocking has been on pace with what Hauck wants to see. Another newcomer in the backfield is Arntson, who played at Helena High and Carroll College before walking on at Montana this spring. He averaged 83.4 all-purpose yards per game as a sophomore. Arntson was looking to transfer after Saints head coach Mike Van Diest retired following the 2018 season. His dad had been the Carroll offensive line coach and announced in January he wouldn’t be returning, but Arntson said that wasn’t the reason for his transfer. “Just personal reasons and needed a change of atmosphere to clean things up a little bit,” Arntson said. 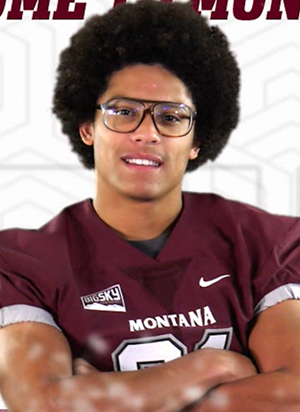 He decided to leave his scholarship at Carroll and walk on at Montana since he was a Griz fan growing up. He also knew Hauck, who’s a longtime family friend of his parents. At 5-foot-7 and 180 pounds, he’s looking to bulk up while learning the offense since he feels he’s been getting bounced around too much this week. The junior will have to sit out the 2019 season because of transfer rules, spending that time on the scout team. “Every play he can get this spring is valuable to him because he won’t get anything in the fall,” Hauck said. Notes: Running back Adam Eastwood had a run of approximately 60 yards. ... Safety Robby Hauck returned an interception for about 40 yards. ... Safety Michael McGinnis, a Sidney grad, picked off Cam Humphrey. ... Cornerback Kadeem Hemphill had an interception of Garrett Graves, a Eureka grad. Don't miss the latest news or a chance to win IR contests! Get our updates to stay in the know.